One of the good things about Hydrogen Fuel Cell (HFC) is that producing these cells doesn’t involve using too many rare materials. Well, we might get a run for the money with the platinum catalyst elements, but this is arguably a major issue, especially when compared to the lithium demands of the battery industry and considering the fact that humans are still not that good at recycling the batteries they use on a daily basis. As per press release of Linde group, a leader in the build-up of a hydrogen infrastructure for many years is exploring new possibilities of zero-emission, sustainable mobility. The company unveiled its latest development, a very innovative pedelec, whose name derives from “pedal electric cycle”. The highlight of this bike lies in its source of power. 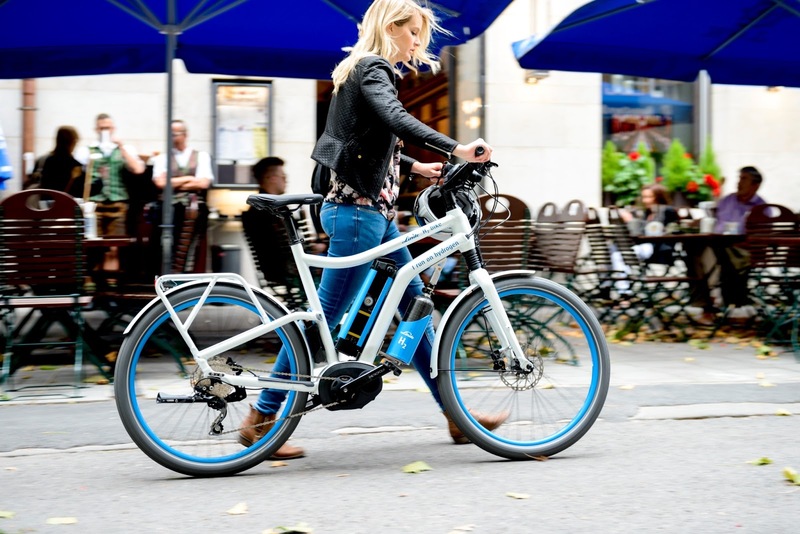 The battery usually found on e-bikes is replaced by a compact fuel cell which generates electric power from hydrogen and oxygen taken from the surrounding air. This unique, highly efficient and zero-emissions drive system supports assisted pedalling over a range in excess of 100 kilometres with a single, 34-gram cylinder of hydrogen. The specially developed fuelling system means the cylinder can be refilled in less than six minutes. “With the Linde H2 bike, we have shown that the benefits of hydrogen drives are not restricted to cars – bikes are another interesting application,” commented Dr Wolfgang Büchele, CEO of Linde AG. 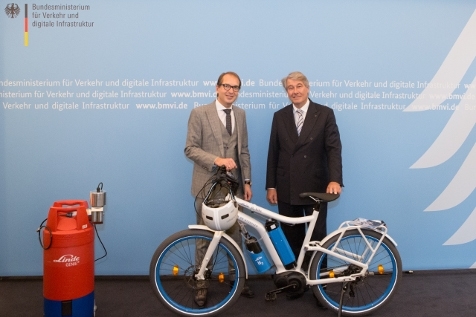 As one of the first to benefit from this new form of effortless two-wheel mobility, German Transport Minister Alexander Dobrindt received a Linde hydrogen bike out of the hands of Dr Büchele. It took Linde engineers less than three months to develop the project from the initial idea to a functioning prototype. 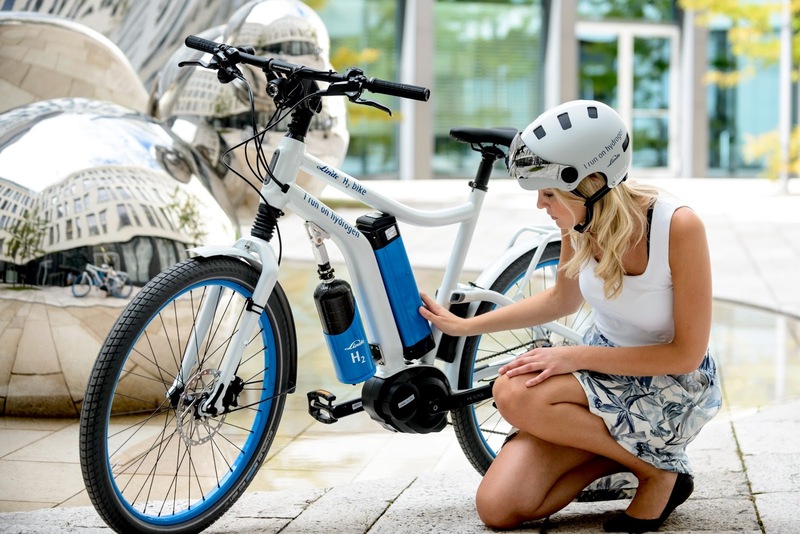 Under the motto “I run on hydrogen”, the Linde H2 bike proves that there is a viable alternative to conventional batteries in electric bikes, thus further increasing the appeal of what is already viewed as an environmentally friendly mode of transport. Like hydrogen-powered cars, fuel-cell bikes have the dual advantage of a long range and a short refuelling window of just a few minutes. What is more, they eliminate the need for traction batteries, which come with a limited lifespan and are difficult to dispose of. 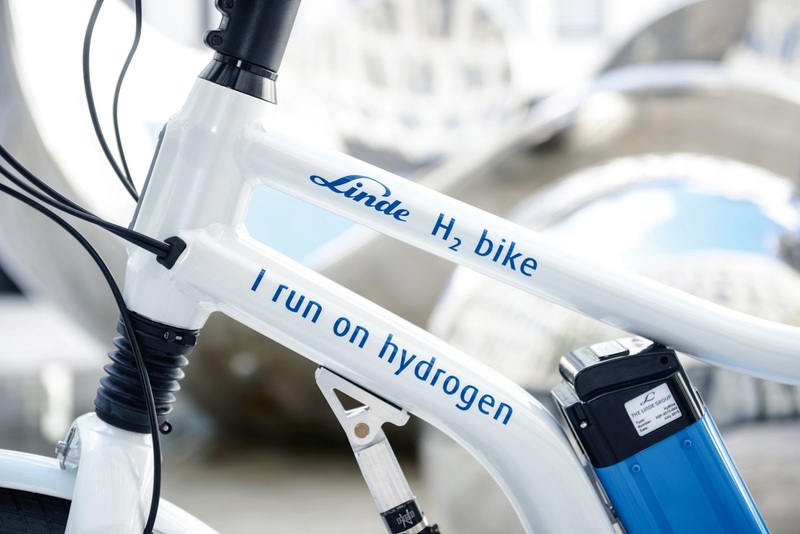 The H2 bike, which Linde will produce as a limited prototype series, runs on sustainable green hydrogen fuel. The hydrogen can be obtained through the electrolysis of water using wind energy or by reforming biogas. The carbon balance of the Linde H2 bike is therefore significantly lower than that of a pedelec where the battery is charged using power of mixed sources drawn from the German energy grid. Explore further in their site Linde group.